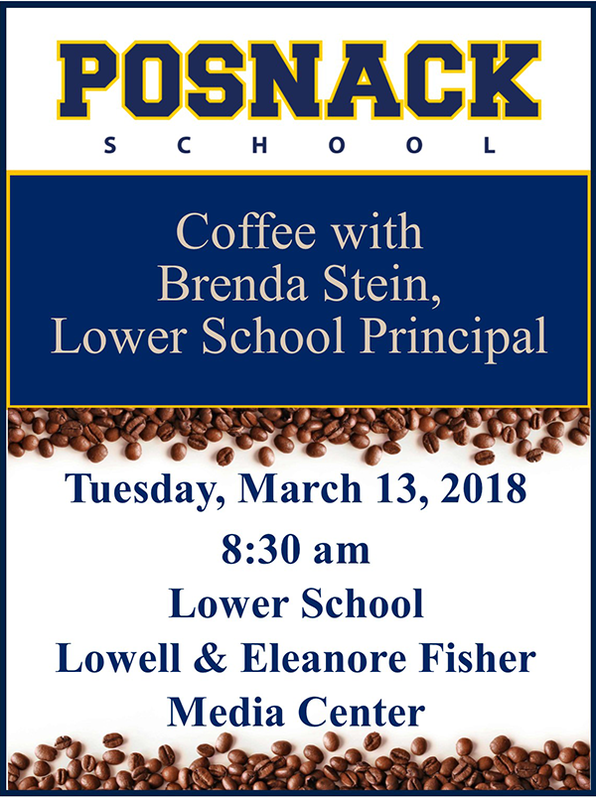 Please join Lower School Principal Brenda Stein for coffee and conversation on Tuesday, March 13 at 8:30 am in the Lower School Lowell & Eleanore Fisher Media Center. This is a great opportunity to discuss any questions you might have. We look forward to seeing you on Tuesday, March 13.